Compatibility - Ideal for use with a variety of pipets and pipetters, both manual and electronic. Comfort - Reduces arm and wrist strain allowing pipetting at a comfortable 45° angle. 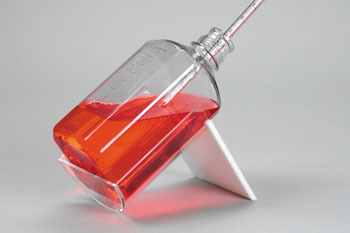 Ideally Sized - Unique design accommodates both 50ml and 1 liter square and round bottles. Space saving - Compact design takes up little valuable benchtop space.